Lafayette Venetian Blind was established in 1950. Our core business at that time was the manufacturing of venetian blinds and awnings. We have grown steadily over the years and now operate in a 280,000 square foot manufacturing facility in West Lafayette, Indiana. Lafayette Venetian Blind presently manufactures a vast product line of window and room fashions under the brand name of Lafayette Interior Fashions. 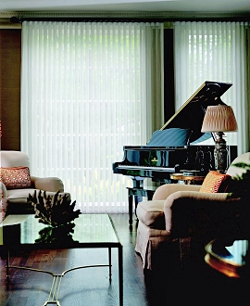 With the innovative and entrepreneurial spirit of our owners, and our strong commitment to customer satisfaction, Lafayette Venetian Blind has gained a significant reputation in the window fashions industry for our quality products and efficient service. We are especially proud of our fast point to point delivery service through our own specialized fleet of trucks and three regional distribution centers. Our unique manufacturing process combines the proficiency of high-tech equipment with the quality of handcrafted workmanship and gives us the fastest turnaround time in the industry.